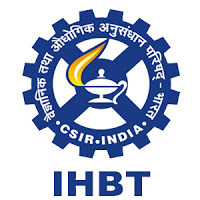 IHBT Jobs Recruitment Notification 2018.CSIR – Institute of Himalayan Bioresource Technology (IHBT) inviting applications for the positions of Project Assistant and Senior Research Fellow posts on purely temporary basis for the duration of the project. Interested and Eligible candidates can apply for the positions. Applicants must be completed Bachelor Degree / Master Degree with relevant fields from the recognized organization / Board. Applicants minimum age limit is 28 years and maximum age limit is 30 years. Selected applicants will get pay per Rs.14,000/-. To Rs.25,000/-. On 12th & 13th September 2018 with essential documents applicants may attend the interview for given below address. Instirtute of Himachal Bioresource Technology (IHBT), Palampur, Himachal Pradesh.